‘Das Treffen’. ‘The meeting’ in its native German. Today these words are on the tip of a thousand tongues across the vast urban sprawl of Bangkok. Since the 1960s Porsche has exported vehicles to the Thai capital, creating a small but loyal fan base that now spans several generations. The recent resurgence in air-cooled culture has driven many Thai owners to bring mothballed cars out of storage and in the last five years Porsche fever has tangibly gripped Bangkok. What was still missing, however, was a means to harness this burgeoning passion, a proper Porsche gathering to rival the established meets in the US, Europe and Australasia. There was nothing of the sort in Southeast Asia; not until a man called Sihabutr Xoomsai appeared. The first thing was to decide on a name. He wanted to keep it simple and memorable, and recalled a meet he attended a few years ago called “Rgruppe Treffen”. The even simpler ‘Das Treffen’ seemed to work perfectly. 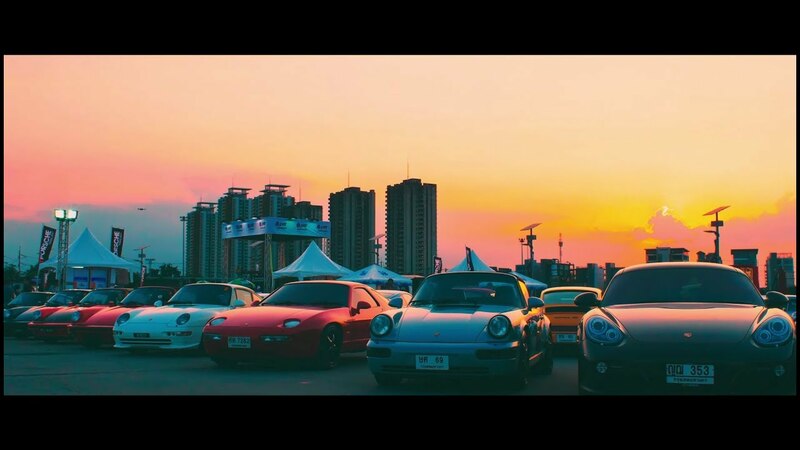 As the Executive Editor of GT Porsche Thailand, coupled with the help of Porsche Thailand, Porsche Club of Thailand and Renndrive, Tenn had no difficulty spreading the message. And the response was simply overwhelming – nearly 1,000 enthusiasts registered for the first event and more showed up besides. There were over 300 cars on display in 2017 ­– only its second year – meaning Das Treffen had already grown into one the largest annual gatherings of Porsche enthusiasts in Southeast Asia. Highlights have included a Martini-liveried 918 Spyder, a freshly restored 1972 911T, a time-warp 944 convertible and a 1973 911 RSR clone finished in iconic Gulf Blue. The oldest car last year was a 1960 356 B T5, though even older examples are expected in the years to come. Besides the attraction of the rare Porsche models, another highlight of “Das Treffen’’ was the camaraderie among old friends and new, who bonded over the experience as one Porsche family. “I have made a lot of life-long friends from all over the world through the brand, and it’s amazing how people from different parts of the world can speak the Porsche language,” Tenn says. He has met enthusiasts from as far away as Malaysia, Singapore and even Dubai now, some driving their own Porsches all the way to Bangkok. And they all said the same thing – they will be back next year.